Learning to play the piano as an adult can be intimidating. Many people limit themselves because they think they are too old or that it’s too late to start something new. The good news is, it’s never too late to start. If you have a desire to learn to play the piano, here are some tips to help you on your way. There are plenty of online tutorials to help you teach yourself, but it is always good to have a teacher. Meeting regularly with a teacher can help you reach your goals and be accountable. It’s a good idea to have a support system of people encouraging you as you learn a new skill. Know what you want to accomplish as a piano player. Do you want to perform for a special event, play for your own enjoyment, or learn a favorite song? Have a clear goal in mind of why you want to learn to play the piano. It will help keep you focused and motivated as well as give you something to work toward. It’s important to start with the basics. If you don’t already know how to read music or the fundamentals of playing the piano, take time to learn notes, rhythm, scales, proper posture, and other basic skills. Failing to learn correct habits and good piano-playing practices now will hold you back later on. If you don’t schedule a specific time to practice each day, you may find at the end of the day that you don’t have time to practice. If you want to learn to play the piano, commit yourself to applying what you learn and practicing regularly. Consistent practice in short sessions of time is better than practicing a lot all at once—for example, practicing every day for 30 minutes is more effective than practicing once a week for two hours. If you can, try to stick to a routine so practicing becomes a habit. As you practice, vary your techniques and the songs you play. This will keep you from getting bored and make practicing enjoyable. Many people think that they must start by playing classical music. That is not always the case. If you want to play for fun and enjoyment, start with songs that you like. Pop songs are great to start with because they often have simple melodies and tunes that are easy to pick up. The key to enjoying playing the piano is to find music you enjoy learning to play. It will motivate you to keep learning, and it will be rewarding to successfully play a familiar tune. It takes time to get used to playing a new instrument. Have patience with yourself if you can’t master a song as fast as you would like to. Keep trying and don’t give up. Start with songs that are at your current level and gradually challenge yourself to play harder songs as you progress. Know your limits, and pick songs that are at your level or slightly above your level. Don’t try to play a song that is too advanced. Don’t rush yourself—set a pace that you can maintain and that fits with your goals. Mistakes are a part of learning. Don’t feel embarrassed if you make mistakes or if a song or skill is difficult for you to learn. Most piano teachers don’t mind if you make mistakes because it shows you are trying. They want to help you improve. When you make mistakes, it helps them understand what you are struggling with and how they can help you. Remember where you started and celebrate your improvements, no matter how small. When you see the progress you’ve made, you will be more inclined to continue. When you’ve mastered a song or skill that was difficult, celebrate that accomplishment. Even if you aren’t a perfect pianist after taking lessons, you will be better and more knowledgeable than you were before you started. Enjoy learning and doing something new. Having enthusiasm for learning is more important than having talent. You may not be a concert pianist or go on to perform in Carnegie Hall, but if you have fun playing and enjoy learning new songs, that will make your effort worth it. Don’t procrastinate learning to play the piano for another day. If you wait for the ideal time to start, it will never come. 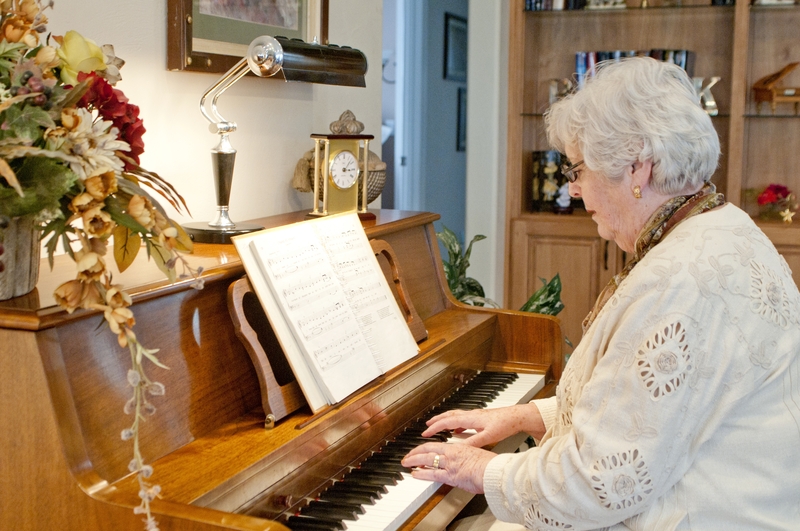 You are never too old to learn to play the piano, but you’ll never learn unless you decide to start.